Today, I bring to you one of my favorite things in the world. Applesauce. I love applesauce... always have. 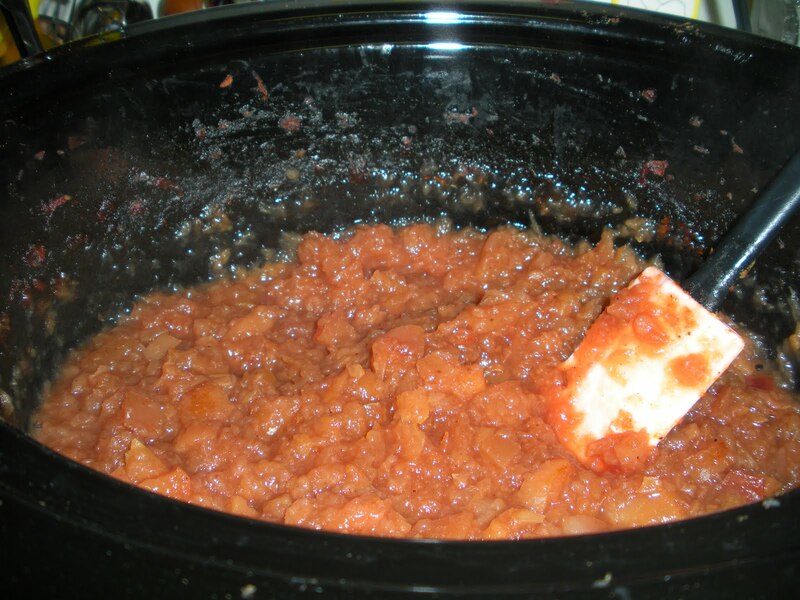 The only thing better is HOMEMADE applesauce, and for extra credit, serve it warm. Mmm. 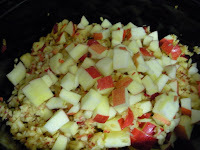 This applesauce is adapted from Cookin' Canuk and is so easy to make, you won't believe you did it so quickly! 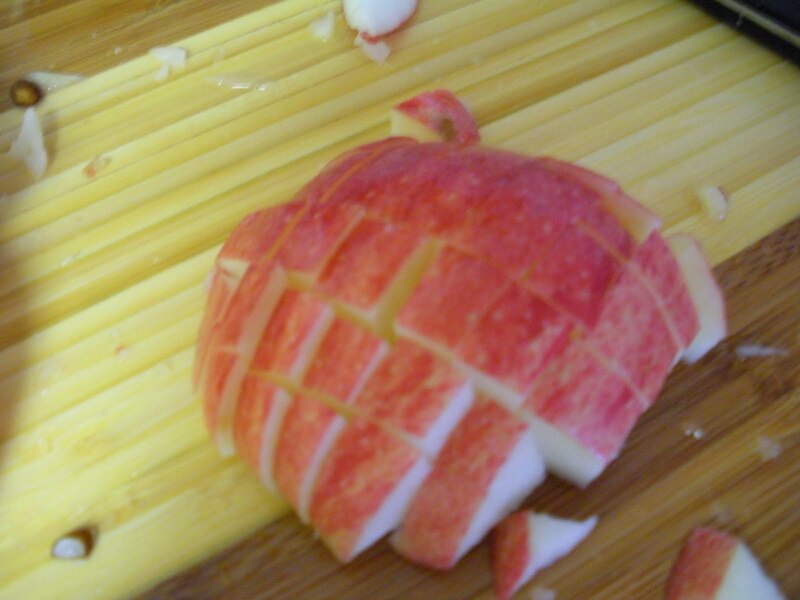 ﻿ The original recipe calls for the apples to be peeled. I didn't feel like doing that, so ... the peels remained intact! I didn't mind them at all once it was finished, but if you think they'll bug you then you can always peel your apples. Chop your apples. I used two methods for this, since chunky applesauce appeals to me. Half of the apples were chopped by hand (not so finely) and the half I used my Pampered Chef chopper on, and they were VERY finely chopped. 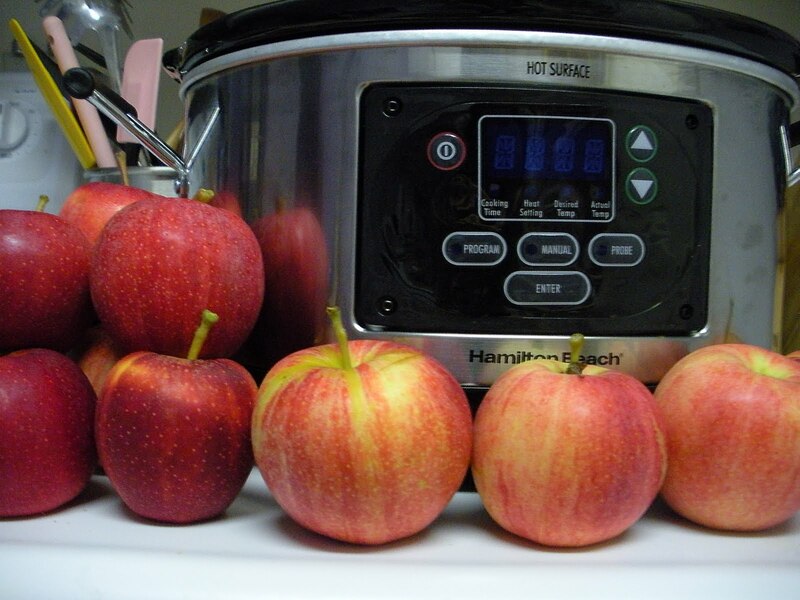 If you really want smooth applesauce, then run them through a food processor. Once everything is chopped, pour your liquid (water/apple juice or cider) into the bottom of your crock pot and then add the apples. Throw in the spices, sugar and honey and stir it all until well mixed. 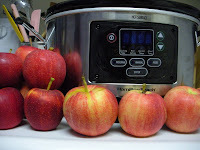 Set your crock pot to high (4-5 hours) or low (8 hours) and enjoy the delicious smell wafting through your home. I literally devoured this when it was done. It was sooo good! You can always experiment as well, try making it really heavy with brown sugar or adding some different spices to see what you come up with. I bet caramel would be amazing! Once the sauce has cooled, you can pour it into your container of choice. I hear mason jars are all the rage right now ;) It'll last for 1-2 weeks in the fridge. I'm considering sharing a few of my very own personal recipes soon. Usually, I just take a general idea for my blogs and shake it up, but there are some things that may be coming in the near future that are a bit different. Tomorrow will be another DIY day, I made a pattern free dress in a matter of MINUTES that is super easy. You can use a variety of fabrics and patterns to create different looks using the same technique. I hope you like it!